Valentine is just around the corner and if you’re in love with somebody I bet you already bought a present for them. If not – what are you waiting for? A perfect idea? Well, how about a T-shirt? You’re in love with yourself – that’s cool, too (although a bit weird)! If you’re not in love with anybody else but yourself you just as well might gift yourself with a great T-shirt design which describes your such feelings the best. Both ways we’ve got a perfect example of a perfect Valentine’s gift – a Rat On The Run “Love Is In The Air” T-shirt. 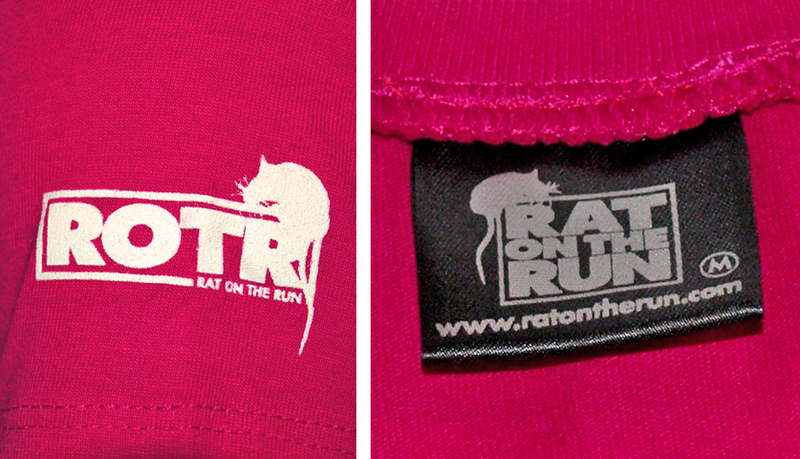 If you’re not new to Teezine then you might remember UK’s independent clothing line by the name of Rat On The Run, whose great looking sample “Daydream” we reviewed back in 2009. If you’re not familiar with them, let me just tell you they’re designing simple and un-offensive shirts which can be worn on everyday basis. 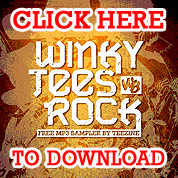 Their quality is top-notch, not just the shirts, but the print too, which we here at Teezine can assure you of since their previous sample stood the test of time, still looking very fresh and non worn out. With Valentines’ Day approaching Rat On The Run sent us another one of their samples for a review. Packaging and appereance – similar to previous one, this sample also came packed in somewhat customized ROTR cardboard box. Upon unboxing it we discovered shirt was wrapped into paper and sealed with Rat On The Run sticker. After the shirt was unwrapped it surprised us again how simple and yet pretty it looked. A girly-shirt and design that’s both unpretentious and eye-catching. 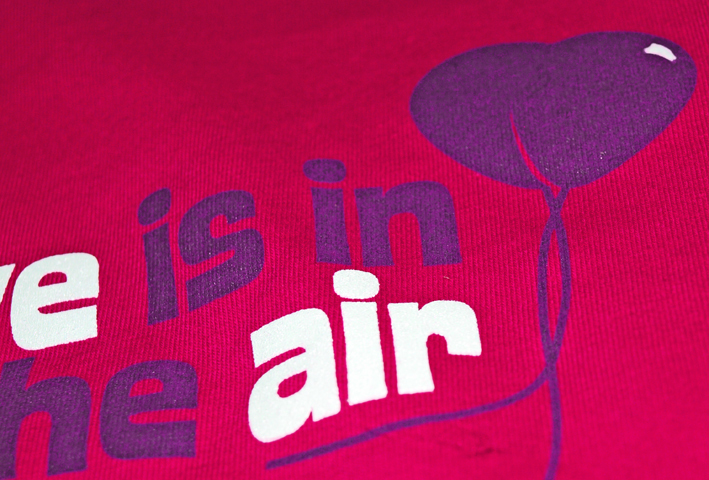 Design and creativity – although some of you might not be fans of slogan T-shirts (and although “love is in the air” is a bit generic one) we agreed that this design is nice for what it represents. White and purple vintage cartoon-ish fonts printed onto heavy pink colored tee make a nice contrast and emphasizes the message wrapped in those hot love colors. Add a little detail – a heart-shaped baloon – and you get a cute design to wear around the house, when going to school or shopping in your nearest store. Sport activities accepted, as well. T-shirt type and fitting – sample came in medium size and it fits tight, but comfortable, especially when you have in mind garment is of medium thickness (not too thin or heavy). It’s a 100% cotton shirt which feels nice on your body, tailored that it follows your waist, with those half-sized retro-looking sleeves. Printing method and maintance – screen-printing is used in production of this tee, and it’s one of the most-common and best methods of printing, known for the durability of colors. Maintance is relatively easy – neck label says it is to be 40 degrees machine washed (with like-colors), you can iron it (although it’s recommendable not to iron over the design itself) and you can dry it in the drier (using normal cycle setting). You cannot bleach the shirt, though, as well as dryclean it. Details and pricing – this shirt also has an additional print – a Rat On The Run cool looking logo on the left sleeve printed in white – which makes the shirt unique and branded. As mentioned before – there is a neck label with company’s logo and maintance instructions, printed silver onto black, adding a touch of glamour to the shirt. Price is £18.00, which is approx. $29.00 at the moment (with postage and packagingt included – not sure if it’s only valid for UK’s territory though), so the price is rather affordable. With all this being said – we concluded Rat On The Run produced nice looking, quality shirt that’s easy to maintain and will last for years. Although using a common slogan – this shirt celebrates love and with it’s affordable price makes a great Valentine’s Day gift idea. Wheter you buy it for someone else, or for yourself. Find this shirt nice? Find this review useful? Please let us know by leaving your comment below. Thank you! “Why do I daydream” is an opening verse for the song “Dreams” by one of my favourite bands of all times – Descendents, along with the chorus which says: “my mind is a dream filled balloon / dripping dreams into my shoes / and I’m too afraid to move / to face the real world”... Despite the popular belief, I really do think we all need some daydreaming from time to time, and so I was more than happy when a shirt called “Daydream” by indie tee label Rat On The Run arrived (the name may sound familiar to you through our previous post about them). I’m also happy that this is the first women-styled physical shirt we review here at Tee zine! The shirt itself is in – what I like to call – heavenly blue color (offical name for that color is turquoise), and just from the look at it I thought it was very cute. After it is dressed shirt feels really comfortable, fitting nicely and being thin, but not that much (I’d say it’s medium thickness). It is your typical women-styled shirt, being firm at waist, along with those cute little “cut off” sleeves. The design itself is mommy’s-little-girl era alike, I mean – just from the age when you hair-dressed your Barbie doll, starting to think about that guy Ken. Little rainbow behind a cloud, with the word “daydream” written below it, plus some nice flowers and dots (using white, orange and pink colors). Not for non-daydreamers, I’d say. Now, I must admit I hate rats (or how that animal is called in Croatian province of Dalmatia – pantagana). However, I like the way Stuart Sibley (the man behind Rat On The Run) used “pantagana” – or rat – in his logo, which is printed on the left sleeve. It makes the shirt much more interesting and appealing, plus I think Stuart stays true to his iconic style of designing. That logo is also printed on the tag inside, which says – funny enough – “100% cotton, you dirty rat”, as you can see on one of these pictures. Tag in particular is way too cool, not just because of that interesting remark, but because the logo is printed in silver color on black colored tag. As we mentioned before, Stuart is really putting all his energy into his label, choosing only the finest garments for his designs to be printed onto. Technique he uses is silk-printing, meaning when you’re buying from him you get unique shirt, each one you choose. And the designs are always cartoon-ish and iconic, which – in combination with the contrast-colored shirts – makes really good looking, eye-catching shirts in which you’ll be surely perceived by not sticking out wearing some fluorescent mega-print on your body.